AP Selvey is highly respected professionally and personally within the field of public health in Queensland and nationally. At the age of 21, she joined the Australian Conservation Foundation and got very active in their Queensland-based campaigns. She was a volunteer with The Wilderness Society and the Rainforest Conservation Society. More recently, she became CEO of Greenpeace Australia Pacific. 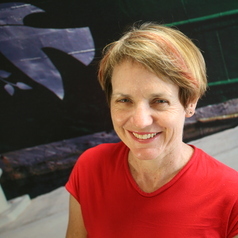 Linda was Chair of the Queensland Conservation Council from 2001 to 2009 and represented Queensland on the Council of the Australian Conservation Foundation (1995-97 and 2004-06). In 2007, she was trained by Al Gore as a climate change presenter and has since conducted 25 presentations to large audiences across the country and overseas. For more than 12 years before joining Curtin University she held senior management positions in Queensland Health, including Executive Director, Population Health Queensland.